This interview wasn’t meant to be about burnout. It was supposed to be about getting traffic (and I think I recorded some handy ways you could do it). But part way through the conversation, I noticed something in Rand Fishkin’s voice, so I asked him if he was burning out from doing too much. When you listen to the discussion that led to, you might notice a path you’ve inadvertently gone down too and what you can do about it. You might also understand one reason why Rand made news recently by replacing himself as CEO of Moz, which creates popular SEO software, marketing analytics software and inbound marketing content. 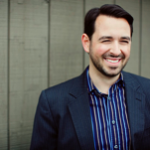 Rand Fishkin is the Co-Founder of Moz, a leader in the field of search engine optimization tools, resources & community. Andrew: Hey, there, freedom fighters. My name is Andrew Warner. I’m the founder of mixergy.com, home of the ambitious upstart. The fist isn’t so powerful here today, and I’ll be honest with you. I’m going to let you in on a little secret. Usually when I do these interviews, I know most of the answers to the questions because I prepped. I do a lot of **** homework. And I’m prepped and I’m ready to go, and I know exactly where I’m guiding the conversation so that you, my precious listener, will get as much value of the time we’ve spent together as possible. I don’t want to leave it to chance. I want to know that I’m going in there knowing as much as possible so that I can guarantee, or come as close to guaranteeing as I can, that you’re going to get quality and value out of our time together. And so here’s the part where I’m really open with you. I’m a little intimidated by today’s interview. I’m a little intimidated because as I was prepping for it, I found that I didn’t have the right questions that you, the person who’s listening, chances are know today’s guest even better than I do. And I’ve interviewed him twice. Know his topic definitely better than I do. And I’m worried that I won’t even know the right questions here. So I figured, you know what, like anything else, I’m just going to put it out there. And we’re going to work together, me and my interview, to get to the value that I so aspire to here that I live for. All right. Let me get into the guest introduction. He is Rand Fishkin. He is the founder of Moz which creates SEO software, marketing analytics tools and all kinds of content to help you learn inbound marketing. And so, Rand, first of all, thank you for doing this interview. Rand: It’s my pleasure, Andrew. I love joining you for these. Andrew: Thanks. Yeah. And you’ve been here so much before. And you’ve been so **** good, especially when you told the story in the beginning of how you started your company. How you had to run away from creditors. And boy, to have you be that open. And now to watch you build and build this company, it’s been an inspiration. So we talked before we started about different things that we can talk about. One thing is how you got over 100 employees today. What the challenges are when you get to this level. And another is to talk about how to put together a marketing strategy. How someone who’s listening to us who understands that things have changed so much that SEO is not in your company name anymore. With all those changes, how can they use marketing and what you’ve learned to get traffic, to build relationships? Andrew: So what do you think? Should we focus on both? Rand: Yeah. I think we can definitely talk about the two of those. And they go a little bit hand in hand. Right. I mean a start-up’s life cycle begins at the idea phase. And then there’s this wonderful period of test and iteration and hopefulness. And if you’re lucky and smart and talented, you get to a place of product market fit, where there’s actually customers who want what you have, which is really exciting. Rand: And then you start to grow in scale. And that’s when you often layer on all of these marketing tactics. Things like SEO and social media marketing, and content marketing and brand building, etc. And then you iterate and iterate and hopefully, eventually, if you do things right, you get to a point where your company goes from that early stage to mid-stage or even later stage startup where you start to have, you know, instead a few dozen, a few hundred employees. And instead of a small handful, thousands or tens of thousands of customers. And tens of millions of dollars in revenue. And so Moz has kind of been through those phases. And it’s funny, because every year and a half, two years, you and I get together and have a little chat about how the last couple of years have gone. And so I think you’ve gotten to experience that alongside us. And I really appreciate you being able to share in that journey. Andrew: And I love how open you are with all your numbers on your site. And I’m going to ask you about that. Andrew: Because that’s part of what I do. But what you said that was interesting to me is you don’t want us to start thinking about creating content and doing search engine optimization and doing all the other marketing approaches that we’re going to be talking about. I noticed that you said it’s after you get product market fit that you start to do all the things that you and I are going to be talking about today. Why? Rand: Well, Andrew, it’s the case that if I decide to go out there and I’m going to go invest a bunch of resources into building up content. I’m going to invest in cured research and search engine optimization. I’m going to go build up my social media marketing. Why am I doing all these things if I don’t even know who my customer target is? If I don’t even know who the people I’m trying to reach are, and the message that I’m trying to send them. And that’s why product market fit, at least that early stage traction of it, is so important. Because you want to understand who the audience is before you start trying to broadcast. And while it can be . . . [??] . . .
Rand: Yeah. . . [??] . . .
Andrew: So at this point, you’re talking about content as a way of broadcasting and bringing people in. But when I remember, Dharma Shaw, a mutual friend . . .
Andrew: . . . and big mentor of yours. Remember him telling me in his interview, before you even start creating your product, you might want to start creating content first just to see if anyone cares at all about your content. And if they do, then create a product for those people. But that’s not what you’re saying. That’s content as a product. You’re saying content is marketing. Needs to wait till the product is there. Rand: Right. Yeah. So I think these are two different things. I would say Dharmesh and I are on the same page, right. We both believe in doing a lot of market research and being a participant in the conversations around the field that you might be entering, and understanding that market prior to building a product for it. What I don’t think either of us would suggest is that you create a marketing strategy for a product that doesn’t yet exist, and for a customer segment that may not exist. Andrew: OK. So, I’ve got a bunch of questions here from the audience. Like I said, they know your work and they know this much better than I do because they live and breathe it. One of the big things they’re skiing me is, something that Shani Golan [sp] say is, ‘Does it even matter? Does SEO even matter anymore?’ Mark Macuda [sp] says the same thing. Rand: Well, so let’s put this into context. So say two and a half, three years ago, I think there was about a billion searches performed everyday globally on Google. I think today that number is closer to 3 billion. So search itself certainly still matters, and search has grown dramatically. In fact, even on what many people thought would be sort of a flattening out year, 2013, would be flattening year for desktop search, we’ve seen month over month desktop, not even including mobile, which of course is growing tremendously fast. Desktop search is growing ten percent month over month. So search still matters tremendously. SEO is simply the practice of being in front of searchers when they’re preforming a search. So it might depend what kind of SEO you’re talking about. If you’re talking about, ‘Hey, should I go stuff a bunch of keywords into my title tags and spam a bunch of links?’ Yeah, that kind of SEO is pretty dead. But if you’re talking about, ‘Should I try to appear to people who are searching for what I provide at the time they’re searching for it?’ Yes. You absolutely should. Andrew: OK. So then what do we start with first if we’re going to talk about the evolution of a company and it’s marketing? What’s the first thing that we should try? Andrew: How would I find that? There’s no community of people who just chat about surveys. I’m glad that you brought them up. Rand: So actually, what’s great about this is you start by doing this research process and finding, I like finding early adopters. People who are likely to want to make a change or a shift. And that can mean technology, or adopters of technology and software of lots of different kinds. And so you don’t necessarily have to say, “Oh, there’s no community who’s talking about web surveys.” However, you do know that there’s lots of people who use web surveys to accomplish certain tasks. And those might be internal HR type of stuff. And you go, “Well, internal HR type of stuff guys, they are not early adopters.” Not nearly to the degree that early stage founders who are trying to do customer facing surveys are. Or web marketers. Web marketers, wow. That’s an early adopting group, right. Let’s go chase them. Andrew: I’ve got a potential group here. Kickstarter. I’m looking at their traffic. It looks like Kickstarter is one of the big traffic sources for SurveyMonkey. So now people who have Kickstarter campaigns, they’re the right people for me to go to. What do I do? Do I reach out to them directly? Rand: You can. I think years ago the way to go was sort of via email. Today, I like starting with a process that’s a little more authentic, a little more research-based. For example, if you, Andrew Warner, are one of those people who I might say, technology influencer. Influences web marketers, influences people who put stuff on Kickstarter. Great. First thing I’m going to do, I’m going to start following you on your social networks. I want to see what you share, what you like, who you really are. I’m going to pay attention before I push for attention. Andrew: Thanks for doing the interview from home even though you’re feeling this way. I appreciate it. Rand: No, I’m excited as you can tell. I would wait for that golden opportunity where you say something over a social media source where I know I can be helpful, where I know I can provide value directly to you and can start an authentic conversation. And then as that relationship builds, now I might reach out to you, “Hey, Andrew, we’ve chatted a few times on Twitter, and I really appreciate you following me, retweeting me the other day. I’m doing this thing. I’m not sure if you’re interested but if you are drop me a line. I would like to chat more and tell you about it.” That’s a very authentic relationship. Andrew: In a moment I want to ask you what the ask is then at that point. Here’s the thing. I tried to do that on Twitter with you. I said, “I’m about to interview Rand. Let’s see everything that he tweeted out.” And I’m seeing things like here’s the latest thing that you posted. “Seattle folks, there’s a big startup weekend December 12th” and you’ve got a link to it. “It’s worth joining if you could make it.” If I just click on it, I could see that more than one, two, three, four, five even on the second page they are even more people who talk back to you at that point. Can you really, if I want to get your attention, notice even that I’m responding to you? Rand: Yeah. Absolutely. In fact, I would say probably more than two-thirds of my relationships that have come about in person started literally on Twitter, just like that. Andrew: Okay. So just like that. I’m sitting and waiting for the five or ten or 20 people who care about my topic to say something and then I tweet back at them. What’s next? What’s the ask then? So now I’m starting a relationship. Eventually I need an ask. And I’ve had a ton of people reach out to me this way. Now I have a relatively large social following. And so I do get a lot of interest of this variety. When someone does, I’ll almost always click the link if the email is, at least, decently written. Rand: And that’s your opportunity to have a conversion. That’s your opportunity to say, “This is something of real value and if it’s interesting to you, Andrew or to Rand or to whomever you’re reaching out to, you’ve got a hit. Andrew: What you try to do at this point get relationships that will lead to mentions potentially and lead to some traffic. Rand: What’s the least brand awareness? At the very least you want people who are potential influencers of your market. At least knowing that you exist and potentially giving you a sentence or two of actual feedback about it. Okay. That’s hyper valuable. Andrew: Alright. So I can see spending maybe a month doing this. What’s the next level up? I need more people now coming in. Rand: Yeah. So I do like following a lot of the Lean Startup methodology of actually going out and meeting customers. So if you identify some people who you think are your perfect target market. You reach out to them and you say, “Hey, I have a product. I’m building it for someone just like you. For 15 minutes and a Starbucks card, could I take you out to coffee and show it to you on a laptop?” A lot of people will say yes, and if people say no, that’s fine. You don’t need to worry but a lot of people will say yes. You can have that 10-15 minute coffee. You can show it to them, and if you start getting people excited, a lot of those people excited, you’re on to something. And if you get a lot of, “Well, I don’t know. maybe, and I never email you again.” Well, you’ve got some work to do. Andrew: Okay. Now we’re continuing. I still feel like I need to see more people on my site. If for no other reason, just to make me feel good because I’m starting a new business and when no ones on the site I feel alone and I feel like no one cares. Rand: Yeah and once you started this process of reaching out to the influencers and to customers, you will start to see-, this group is my target market, this group is sort of my target market and this group clearly is not. And that’s when, now that I have this group, now I’m building a marketing strategy based on that. Andrew: Continuing this made up example of a guy who decides he’s going to create a Survey Monkey, a new kind of survey app, right. Compete with Survey Monkey and WuFoo which I guess is now acquired by Survey Monkey and so on. Andrew: He discovers this small niche of entrepreneurs who are trying to figure out their product, who are creating surveys, etc. I guess for entrepreneurs there are tons of forums online. Rand: Kickstarter, you mentioned Kickstarter, which I think is a great one. Let’s just say that he wants to start with the folks who put something on Kickstarter are starting a lot of traffic through Survey Monkey, ‘I think I could make a better experience for that. And so what am I going to do? I am going to personally spend $250 funding, $10 each of Kickstarter experiments, Kickstarter things. And I’m going to try and aggregate the data and the results. I’m going to look at the best campaigns, the worst campaigns, what the good ones did right, what the bad one did wrong. I’m going to reach out to the most successful Kickstarters and say, “Hey, I’m putting together some comprehensive research on Kickstarter campaigns. I noticed that you are in the top ten percent, would you mind answering a few questions and then I can start to aggregate those things.” And now I’m building up resources that everyone who launches a campaign on Kickstarter, is going to want to read before they do it. Rand: Now I’m providing value to this niche audience that I know is an early adopter, who might care about my product. BOOM, now I set the stage for a strategy as oppose to a tactic of, ‘You know I should send out a lot of Tweets because social media marketing is important or I should try to rate for Qlerts [sp] around surveys. Andrew: Okay, I see what you’re saying. I put this thing together. By the way, how do I find-, I have a few tools that I use to see where sites are getting traffic, what tools do you recommend for that? Rand: Okay, so I do like–there’s a few that are particularly good on the search side, they sort of tell you, “Hey these are domains that show up in a lot of the results where this particular domain shows up.” I might check out SEMRush, Key Compete, Spy Foo. I am very skeptical of tools like a compet dot com, Alexa, Quantcast, Hitwise, Neilson net rating, Google Trends for websites. However they can spark good ideas. I wouldn’t necessarily use them to say, “Ah ha, this is the number one traffic driver to this website, or this is the number two or this is the number three, number four.” That’s very iffy. I could be that Kickstarter is number 57 or number 17 or number 157 of Survey Monkey’s actual refers, but, it doesn’t matter, it still a great idea and that’s what I look for when I browse through the tools at this stage. Andrew: Gotcha. So, now I found it and I created this resource, whether it’s a survey on past Kickstarter campaign creators, or maybe it was data based on what I was able to find on Kickstarter. Now I have to both promote the business and this research I just did and that feels twice at tough, what do I do to promote the research now? Rand: This is why getting started with a business is so challenging because you are not just building a product, you are also building a brand, you’re building a company and to build those those things, you need to build an audience and audience building whether you want to do that online or offline, is incredibly challenging, hard, it’s a fly wheel, right. Flywheels build momentum. They work off momentum but getting it started, that first turn of the flywheel, those first three or four turns are hard. That’s why entrepreneurship is such a wonderful thing because there’s a high barrier to entry. If anybody could do this, everyone would and it wouldn’t be all that fun. It wouldn’t be all that interesting and certainly wouldn’t be all that rewarding. The exciting part is the barrier to entry. Rand: We did an info graphic with Lemonly recently and I said, “You guys are great at creating info graphics and you’re great at promoting it. Don’t promote for me, teach me what to do.” Here’s what they told me to do. Here’s the spreadsheet that we put together that allows us before we start promoting to organize all the people who we think might tweet out our info graphic. All the people who might blog about the info graphic. All the people who would care enough to share it in anywhere. Get all their names on a list. Get their contact information on a list. Be ready with all this information, and the day that you launch go to all those people and say, “We think you and your followers might be interested in this.” We did that and we got over 1000 Face Book likes and over 500 tweets. All kinds of really good stuff. Andrew: I like that approach but I would tweak it just a little bit. Rand: Good that’s what I wanted to ask you. Andrew: I really like going to those people before you hit publish and asking them for their feedback. Asking them… Especially if they have some expertise in some area. For example, you’re reaching out to someone who you’ve seen write a lot about color theory. You say “I’m putting together this info graphic, I loved you’re piece about color theory, can you tell me if you like these or whether we should go with a different color pallet?” Now by asking for their advice they’re helping you and their participation in that will make them a much more likely contributor when it comes time to amplify. Andrew: You’re also leaning on them for their expertise and you’re getting them involved and you’re helping each other. When you produce something wonderful that they share they get more followers. They get more fans. You’re helping each other in the best kinds of symbiotic social sharing relationships. You’re helping each other. Rand: What happens when you start going out to all those people and you start asking them for feedback and then you get all this great feedback from really bright people and you feel obligated to make all the changes and accommodate them all. Andrew: You have to decide where that barrier lies. Rand: Would you feel hurt if I didn’t use your feedback? Andrew: No, not particularly, not if I still thought it was high quality. Rand: I see. You’re just giving me feedback and you’re OK at this point with me not using it and if I come back to you and say “I couldn’t use it but if you still like it tweet it out.” Or “If you still like it maybe you could share it.” That’s the way to approach it? Andrew: That’s a very reasonable way to go. Another thing that you’ll find 9 times out of 10 whenever I’ve done this or seen this done, what happens is that everybody gives the same 3 or 4 pieces of feedback. Andrew: It’s not that unique it tends to be the case that everybody goes this one tweet could really help. Then there will be the two or three outliers who are going way off the deep end. Andrew: It tends to be the case that 90% of those feedback pieces, at least in my experience, are on just a few pieces and you can make those few tweaks and make a lot of people, not everyone, but a lot of people happy. Rand: Okay. We’ve found the product in the imaginary case it’s the survey product. We’ve found the audience. In our imaginary case we’ve decided to focus on people who are crowd sourcing because we think that they are willing to experiment, and we see that they are using our competitor’s product a lot. We found the first content that we’re going to create for them. We’re talking about research and maybe putting together questionnaires and the data from all that into a product. We’ve talked about how to prime our connectors and influencers for sharing and get feedback from them, and we’ve gotten them to share. Now I could see doing this on an on-going basis. What’s next now that I’ve developed this part of my business? Which are this research and this sharing of it? What’s the next thing that I would do? Andrew: In a true marketing strategy what you have is a real road map that guides you through the product that you’re building and how you’re trying to reach the audience. The individual iterations happen in the process. As you learn, you’ve launched this piece of content and it did reasonably well. It brought people to our site. Now in our strategy we have the… but what is it that’s going to make them back time and again? I just can’t produce one report on kick-starter one time and expect people to come back. However, if we’re going to have a five or ten-part series on kick-starter and I also build up some relationships with some media portals to say, hey, I’m going to provide some of my interesting research stats before they’re published to you guys so that you’re referring to me again and again and again. The great part about this is now I’m building up a content that people come back to again and again, a reason to follow me on social channels, links and references and mentions and social signals which are going to bring me search engine rankings. Now people are coming to me as they’re performing queries. And so now I’m building up the base of that audience, and I might go and replicate what we’ve done with Kickstarter with audience number two, audience number three, audience number four. Andrew: What is your best content format at Moz? Rand: It actually changes a little bit. So historically, in our early days, we had a ton of success with a few big sort of research reports. So things like the beginner’s guide to SEO, the search engine ranking factors. We’ve actually had a lot of success with another more recent one called the Google algorithm update history so you can see all the named and major updates that Google has made to their algorithm . . .
Rand: . . . over time. Initially, we did not have a ton of success with something called Whiteboard- Friday, which is a video format that I think you’re probably familiar with. Andrew: You’re really well-known for that. And you say it wasn’t successful at the start. Why not? Rand: No, it wasn’t. You know, we were fairly amateur at it. The quality wasn’t super high. And I also think that there’s something to the power of having a few big hits along the way. So there would be, occasionally, maybe two or three times a year, a Whiteboard Friday that would just pop. It would go really hot. Right, it’d have four or five, even ten times, the average traffic that a Whiteboard Friday would have. And everyone would be telling their friends, or their industry contacts, hey, you should really watch this. And I think that generated momentum. And now it’s become almost like a must watch series for a lot of web marketers. And that’s very humbling. It’s also a big obligation for me to make sure I perform in front of the camera every week. But it’s become powerful. The power of repetition in a consistency. We’ve also seen recently some huge results from a few sort of software and tools types of things. So the biggest one being MozCast, which is essentially monitoring the top ten search results in Google for about ten thousand different search phrases. And looking at what appears and disappears in there, how much change it has on a day to day basis. So Google will say, hey, we released a major algorithmic update. And we’ll go, yeah, it wasn’t that major, though. So we can kind of call b.s. or say, what happened, when Google says there’s been a major change. Or when SEO folks are noticing big changes. Andrew: My friend, Stu McLaren, the creator of wishlistmember, the WordPress membership plug-in, says that content creators think too much about content. And they should think about software. You made the transition. I think you started out as just content. Right? Rand: We started out as consulting. Rand: Yeah. And then we made the transition to software. Andrew: Okay. What do you think of software as a reason for people to come and to spread the word about a site? Rand: I think it’s absolutely genius. And it fits very well with both my experience, and with the fictitious example that you and I have been talking about. Right. So for Moz, we offered a number of few tools for years, and still do. Right. Open site explorer, you can use most of it, or a lot of the functionality there for free. We have a number of other free tools. We have a free SEO toolbar. All that kind of stuff. And those things help people to come back again and again and to find our brand useful. And they also give a preview of what we offer. The same thing is true of SurveyMonkey. Right? I think you still can create a few free surveys using SurveyMonkey and then you have to upgrade after a certain time period. Or they might be on a free trial methodology. Andrew: I’m pretty sure you can. Rand: The same thing could be true of our survey tool that I’ve been talking about here. So I might say, hey, your first three surveys are totally free. And we guarantee that you’re going to see higher engagement with our version of the survey than if you drove the same number of visitors to a SurveyMonkey survey or any of our competitors, and we’ll guarantee that with a $10 Amazon gift card. Andrew: If you’re using software as a reason for people to come to the site, not the main reason, but a reason, kind of like a report, how do you do it when you’re not a developer and not get carried get carried away with another side project? Rand: I think this works really well when you connect the two. So rather than creating a completely separate side project, having something that actually fits with your primary software based model, so Open [??] is a great example for Moz. For Survey Monkey, their free software is a great example. So Hub Spot, we were talking about Dharmesh Shah, Grader which is sort of their free tool, fits perfectly with what Hub Spot offers which is something to help you with a lot of the statistics that the website creator will show you. So these things just naturally make sense. Bitly is the same way, right? I go and I use the free Bitly product, and I say, “Gosh, this is actually really nice. Let me update to Pro so that I customize the URLs and do all these other fancy things and get better stats because I like the free product.” So software, I think, works best when it doesn’t have to be a side project. Andrew: You know what? I think Qualaroo which is survey software stopped offering a free version. I ought to get Sean Ellis on here to talk about Qualaroo. I’m curious about why he doesn’t do that. Rand: It might be a testing thing. We actually switched from having several of our tools completely free to somewhat gated, and we even did…we switched to a 30 day trial on some things a few years ago, and it seemed successful with that. Rand: I don’t mind it. I think sacrificing some of the visibility in exchange for building your community or growing your subscription base is a fine trade-off. I think you just have to be aware of the long-term versus short term benefits of that. So if it’s, hey, short term I know the guys at [??] fairly well. They’ve had a lot of internal discussions about whether they should continue to be sort of stopping people who don’t have a registered account, being able to read things, and whether that’s hurting a lot of their search traffic and their potential to get linked to and these kinds of things, where they want to make the trade-off. And so I think so long as you’re measuring carefully and you’re consciously, consciously accepting the trade-offs and not just saying, “Hey look, we did this and, yeah, traffic is only down 5% but our community subscriptions are up 25%. Let’s just stick with it.” And what you don’t realize is that it drops about 5% the next month. So you haven’t just killed 5% of your total, you’ve killed your growth rate, too, oops. Rand: Because they have a lot of signals that Google likes, right? So lots of people, primarily their subscribers, but spending lots of time on the site engaging with the content, linking to it, sharing it. One of the most unbelievably positive media and press presences in the startup world for their first two or three years of existence. You know I think people complain about every Tech Crunch article. You guys cover these guys more than Google. What’s up with Cora? The thing to be aware of and we’ve seen this with Moz Cast is that Cora has actually shown up in a few less search results than they did, say, about a year and a half ago. So they’ve been trending down a little bit, and I think that’s conscious on their part. I think they knew the trade-off they were making but you’ve got to be aware of it. Andrew: Let’s do one more from him because his questions are so good. This is Patrick from, his site is Wall Street Oasis. He’s saying that his site has over 100,000 URLs and 80% of his traffic comes from long tail search traffic. He’s wondering how long tail search is changing. Rand: Yeah. Long tail has been changing considerably over the years, and I think Google’s Hummingbird update sort of put a little bit more of a stamp and a description, at least, from Google’s side to what’s been going on with long tail. So essentially what we’re seeing is that in the days of Google past a lot of SEO was and to a certain degree still is, less so than before, was a keyword match. So if I searched for “best places to eat in SeaTac Airport’. Okay? That’s a reasonable search. That’s what, seven, eight words? It’s a relatively long tail search phrase. Is that fundamentally a different query than ‘restaurants SeaTac’? Or ‘SeaTac food’? Not really. Both people are probably looking for the same thing and Google’s hummingbird update, in addition to other changes they made over the years, are about trying to connect those two query’s and say ‘let’s not show results for one that are very well optimized for SeaTac restaurants’, and the other one for ‘best places to eat SeaTac Airport’. This one may not have the word ‘airport’, and it may not have the word ‘best’ but it still says our favorite restaurants at SeaTac. Gosh. That probably seems like a great result for both of them and so we’re going to try and connect up the query intent, the meaning, and show similar results for both. Because of that, long tail optimization is changing a little bit. What I wouldn’t do today is I wouldn’t go, ‘let me find every long tail variation of a keyword phrase and target each one with it’s own page’. But I would say, let me find every different intent that a searcher might have around restaurants. And now I’m going to do this. Let’s do it by terminal. Let’s do by wait time. Let’s do it by quality of food or by price. Those are things that different types of searchers will care about differently. I want to have different pieces of content for that. Andrew: As a searcher I love that Google does that. I understand the frustration that Patrick and people like him might have but as a searcher I love that I’m on my phone and I don’t have to type out ‘San Francisco whatever restaurant’. I could just do ‘restaurant SF’ and know that even if the two letters SF are nowhere on the page, nowhere in the links to it, Google still would know. Kareem Mayan, past terviewee, is asking what channels are you excited about? Rand: I’m a little bit more excited about Google Plus than it seems like everyone else is. I think Google Plus is a Trojan horse for them to connect up identities and to connect up real sharing and social behavior directly with your, not your social network, but your contact network. Because Google, primarily through Gmail but also through Android, knows exactly who you talk to, when you talk to them, how frequently, and what about, which is a little spooky but wont get into the what about issue here. Because of that I think they believe that they can do some really remarkable things in terms of what content they recommend and what they surface in your search results. Marketers, in my view, have been way to often ignoring the power that Google Plus has. It’s just ludicrous that basically any search query that I type in that contains two or three of the same words as an article that someone’s posted to my Google Plus stream. Right? So, anyone I’m following who’s posted anything on Google Plus, they’ll show up in the top ten. No SEO Required, none at all. Andrew: Say that again? If I wrote an article about something your searching for, and it just . . .
Rand: No. No. No. Let’s say you don’t write an article. Let’s say you just share a photo on Google Plus and you say there’s some beautiful fall colors in . . . are you still in Argentina? Andrew: No. I’m in San Francisco. Rand: Okay. Beautiful fall colors in San Francisco this year. Okay. Very cool, and I search for fall colors. If I’m following you on Google Plus I will see your post in the top ten. Andrew: I see. I see. Rand: I will see it. Andrew: And that’s why . . .
Rand: It doesn’t matter where it is. Andrew: So, I have an incentive, as a guy who maybe creates photos of fall colors, to put that Google Plus button on my site so that my fans will click that Plus, or that like? Rand: I would take it one step further. What you have a real incentive to do is to get everyone you possibly can, who you care about, to follow you on Google Plus. Because then everything you ever share with them will appear when they perform searches that are related to those terms and phrases. Andrew: I see. I’m going to share my stuff with them a lot and so my stuff gets higher in their search results. Rand: Having a huge Google Plus following today, in my opinion is a super power, a marketing super power. Rand: And remember, it’s not just as many people, right? So a very large following is useful and that’s great, but a targeted following is really powerful. So if you can find some way to incent who you know to be in your core audience, your next group of customers, the influencers of your customers, the people who help amplify your content. If you can get them to follow you and that means being useful and interesting and relevant and high quality to them on Google+ or on the web as a whole and then driving them to Google+ as a primary social channel, then you have a big win. Rand: And Gmail makes this a little big of a default, right? So if we’re communicating and you have a Gmail address, this is even easier because follow me on Google it pluses just one click. Andrew: I am +Andrew Warner on Google and if you see that page you’ll get to see what my backyard here in San Francisco looks like. So go there to see what the backyard is and maybe you’ll add me to one of your circles. Rand: I love this. So we’ve done something at Moz here called Whiteboard Plus. We knew Whiteboard Friday is very popular. We filmed some exclusive videos just for our Google+ followers, posted them to Google+ and said,”Hey, come follow us there because you’ll see this stuff,” and by the way that’s a great way to increase our following there, too. Andrew: Guy Kawasaki loves Google+. If you’re interested in more Google+ stuff, look up Guy or Guy Kawasaki on Mixergy, and you’ll see what he said about it. He literally wrote the book on it. And as long as I’m saying, “Add me to your circles” I see 10,735 people added me. Let’s see how many more circles I could be… I know, 10,735. Rand: I’ll go on Google+ and make a recommendation for folks to encircle you. Andrew: Ah. Now I’ve got to add more stuff to it. So actually this is such an amateur question, but since we’re talking about it, I’ll ask. Is there a way to automatically share… No, to have to manually come in here every day that we post something and share it. Andrew: Okay. Alright. I get that. Do you personally handle your own plus accounts so you can share it? Rand: I absolutely do. Yeah. I do. And by the way, the thing that I found to be most effective on Google+ by a long, long shot is high quality images shared on there. So any time, if I do a Whiteboard Friday, for example, I will take a screenshot. Elijah and I, the guy who does the filming, we always try and come up with a creative screenshot to take in front of the whiteboard every Friday so that we can have something to post both to Facebook and Google+. Images perform so much better there than straight links. Andrew: I actually heard a big image even if you’re going to do a link on Facebook. You’re saying it’s the same thing here. Alright. Andrew: And so you do that manually yourself? Andrew: You can’t pass that along. Rand: It takes like four minutes. Rand: How would I be able to give this great advice if I wasn’t doing this myself and I wasn’t deep in the details? How would I be able to be authentic? Andrew: Does it ever bother you by the way? I want to go back to this strategy. Doesn’t that ever bother you that you’re running a company that’s growing but because it’s so Rand centric you don’t have to come and do the interview with me. You can’t pass it to someone else. You have to share on Google+. Rand: I’ll relate to this with a metaphor or rather just an example for the real world. So I visited the Opera House which I”m sure you probably did, too, in Sydney, Australia, one of the most beautiful buildings in the world, certainly in the world of modern architecture. I think it’s renowned. It was way, way over budget. The original architect was actually fired from the project before he was brought back. The cost over-runs were exorbitant, but they made that building and they made it in his vision. And I think when you take a company by committee, building by committee, a piece of art by committee, you don’t get a fantastic product. You don’t get a truly exemplary, beautiful product. You get what you often get through committee which is a little bit of bureaucracy and a little bit of mediocrity. And so I think it’s very empowering to be able to be this involved and as a result, there’s not a whole lot else that I do in my life. Andrew: You mean other than work? Andrew: You know, I always like to say how I feel, because I want my audience and my guests to always be as open with me. So I’ll tell you, I was very intimidated coming into this interview. Like I said, so many people in my audience were way better at getting traffic, way better at SEO, way better. And here’s a topic that I can’t out-research them. Do you ever feel that way, especially now that you’re running a company with so many employees, so many customers? You’re so well-known. Do you ever say, hey, you know what, who am I to do this? Who am I to speak to . . .
Andrew: . . . with the Y-Combinator batch when Paul Graham and all these other people are good. Who am I to run this company when there are people who are better than me at it? Rand: Yeah. In fact, I have a ton of that self-doubt around all sorts of things, probably more than I could ever express in an interview. But . . .
Andrew: For example? Oh, mm-hmm. Rand: Yeah. But what I would say is that, where I find great value is from listening to other people’s examples, and collating them together, and then layering them on top of my own. And so what I try and recognize is that I am merely one drop of water in the glass that they are drinking from. But without one drop of water from lots and lots of people, they would have half as much water. And so, I just want to be that drop if I can. Andrew: I see. So you don’t have to be everything to me. You just need to add another drop and then you feel okay with this interview? Andrew: So can you give me an example of a time where you felt intimidated? Rand: Yeah. I can give you so many. So I’ll tell you, you know, I do a lot of public speaking. Rand: I have for the last, gosh, six, seven years. But I remember one of the first times I did what I’d say was a much bigger event. I spoke at a venture capital conference they had called together. And I’m not going to mention which venture capital company it is, but it’s a very well-known one. I haven’t asked them for permission. But this was 2005, 2006, 5, I think. And they gave me my own session, right. So I was basically keynoting in front of 5, 600 of people from their portfolio companies, and entrepreneurs they had thought about funding and EIRs, etc., etc. On the docket with me was Meg Whitman, right. Chris Anderson from Wired, Nirav Tolia, just like a bunch of names where you’d go, yeah, yeah, yeah, techlie, techlie, who the “f” is Rand Fishkin. Like, seriously. Today, maybe you would say that I could sort of halfway fit into that bucket, but in 2005, not even close. Rand: I didn’t even know who I was in 2005. That experience, I was just insanely nerve-wracked. I felt like I had no business being there whatsoever. But, when it came time to do it, I got up there, talked for 45 minutes about block and tackle SEO stuff and how it worked. A bunch of companies came up to me afterwards and we signed a number of consulting clients from that speaking gig at the time. And I thought to myself, okay, that’s it. From here on out, you never get to be scared of public speaking again. Because if you can do this one, there’s nothing that’s threatening. So since then I’ve spoken to audiences in the many thousands of people, and done all sorts of . . .
Andrew: So if you ever get nervous up on stage, you immediately touch back in with that thought and say, well, I spoke with Meg Whitman and all these other people. Andrew: I can do this then. Rand: Absolutely. And every time I’ve done it since then, it’s only built up that confidence more and more. Now today I get on stage and I think of it the same way that I would standing in front of a camera with just one person on the other side. Or having a conversation in a room with a gathering of friends. There’s no discomfort whatsoever for me. Which is nice because I can be myself. It’s not so nice for the audience because I make a lot of dumb jokes because I feel so comfortable. Andrew: Because you’re so comfortable. Andrew: Hannah Wiley asked, why is SEO still necessary when so much traffic seems to be gotten through other means? I think you’re saying it’s not necessary. It’s not so necessary anymore. Rand: Yeah. I’m saying if it fits with your marketing. Right. So if you say, hey, there’s a lot of people who are searching for exactly what I offer. And I would much rather that they came to me than someone else, then SEO is essential for you. If that’s not the case, then it’s not. But with SEO, you have to keep in mind, right, if people are performing these queries, they’re going to land somewhere. Right. Someone is ranking in the top ten. If it’s not you, it’s your competitor. And so you have to decide whether you want to compete for that traffic or not. Andrew: I’m looking at this monitor because right here is the computer I actually use day to day. Andrew: And I was reading an article that you wrote, I guess it was a year ago, two years ago, about, well, here it is, misadventures in bc funding, the $24 million Moz almost raised. And there’s a line in there about how one of the venture capitalists you talked to said, the only big concern he brought up from that research was that higher up marketing executives will lack belief in SEO. There was a time there where it felt like SEO was the be-all and end-all. Certainly, your company was called SEOmoz. Were people right to say, hey, this is a just a short-term boost that you can get because SEO is easy. And eventually there will be so much competition, and Google will be so good, that it’s just not going to be as powerful anymore. Rand: I mean one might as well say the same with television advertising. Right. So television became insanely popular. Is it even worth doing anymore because television is so pervasive, and clearly had so much success, should we bother with that. And television actually is the worst example because now it’s actually shrinking a little bit. Right. The percent of people . . .
Rand: . . . who see a commercial is actually shrinking. Whereas Google, the opposite is true. But I don’t see it that way. In fact, someone asked me recently, had talked about whether when we planned this change away from SEOmoz into Moz, one of the things was, well, you know, SEO is bigger than just SEO and it involves all these different practices. And one of the trends that I was fairly sure would happen was that SEO would just be kind of rolled into broader inbound marketing, right. Investments in content and social and other forms of nonpaid web marketing . . .
Rand: . . . would encompass SEO. And I am surprised to say that I think I was dead wrong on that one. SEO has continued to be its own world, its own game. [coughs] Excuse me. Andrew: Because it’s so specialized? Rand: I think because it’s so specialized, relatively technical, still has a huge learning curve that’s hard. It’s hard. Andrew: What are you feeling right now? I see that you’re struggling to talk. Andrew: Are you recovering from a cold? Rand: Yeah. Sorry about that. Andrew: And still you did this interview. Why didn’t you say, hey, you know what, I need some time to myself? Andrew: Are you going to burn out, Rand? Andrew: You are? At this point? Rand: Yeah. I think I will. Andrew: So what are you going to do to prevent that? Rand: Surround myself with a lot of good people who can pick up the slack. That’s basically my plan at this point. And then just be okay with the fact that that burnout is coming. Actually, you know, Andrew, to be totally transparent with you, I’m feeling it already. Right. I’m feeling it. Andrew: How does it express itself for you? The burnout. Rand: Feelings that are similar to depression. Sometimes physical illness, although I don’t get sick all that often. A little bit here and there. This one, I was playing with a lot of my in-laws’ kids over Thanksgiving. So, okay . . .
Rand: . . . picked up something. I also do see myself being a little less, what I’d call, patient, and even a little less empathetic. Right. So I’m a little less tolerant of failures. Things I don’t like to see, I am a little bit harsher and tougher. I don’t know. Maybe some of that’s healthy, and some of it’s unhealthy. I think as I get more burned out, I’m less good at seeing nuance and shades of grey. And I see things a little bit too much in black and white. And I get obsessive, too. Right. So I just . . .
Andrew: What do you mean? What have you gotten obsessive recently because of these feelings? Rand: I’m really obsessed with the fact that, I think, we launched this new software called Moz Analytics in October. Look, on the whole, it is very good software, but I think it does a horrible job of onboarding people. And explaining the value and making the value proposition crystal clear. And so even though I know that there’s people working on it and doing that hard work, and they’re people that I work with whose skills I’m incredibly impressed by. And many of them I like personally. I spend time with them outside of work and that kind of thing. It’s still, you know, I get in the shower in the morning and I walk to work. And all that’s turning over is, why can’t they fix this? Why can’t they fix this? Why can’t they fix this? Jeez. That constant, that throbbing. It’s bad. Andrew: And then does it express itself in a way that you regret later on? Andrew: . . . [??] . . .
Rand: I’m pretty good at catching myself, but occasionally, occasionally, yeah. Andrew: You know, before we started, we started talking about what we should talk about in the interview. And you said, well, about all this number of employees, and all these users and customers. And you said, it’s less fun to be big. And I just caught myself writing it down without thinking about it. Why? Rand: Well, for me at least, and I think for a lot of entrepreneurs who love the early stage, we’re the same kinds of people who love artisanal things in the world. Artisanal things in life. And that can be, you know, hey, this shirt was handmade in Scotland in this store that I stopped into, and I met the owner. And that’s the same woman who designed the pattern and sourced the fabric. God, that’s so cool. Rand: Right. Or the craft cocktail movement. It’s like, yeah, this drink was invented in this bar last year when this crazy guy came up with this thing and, by the way, he also won the world beer championship two years in a row. That artisanal style of creation is something that’s really beautiful. And it doesn’t scale tremendously well. Or let me put it this way, it’s really, really hard to make it scale well. For me, that’s why this stage has been less fun. But I’m really hopeful that we can make some changes, fix some things, and recapture some of that artisanal magic. And part of that might just be saying, hey, you know what, every product that we produce has a product owner who is that architect, who does make the Sydney Opera House of SEO software. And that’s what we’re going to do. Andrew: I see. And it seems like you’re doing that now by bringing in more personalities. You’ve been doing this for a while. But more people go, more people are writing. More people are going on camera. Andrew: So it’s not just the Rand Show. Rand: Yeah. I mean we have, in my opinion, the most talented, intelligent, experienced, masterful member of the local search world, David Mihm, who’s on our staff now. So we bought GetListed about a year ago. Yeah. Just about a year ago. And David has been working on a sort of a project inside of Moz, a local focused product inside of Moz that should launch next year. Yeah. When I see what he’s building, I say, like, oh, man. I just step back and go, no, you got this. You totally got this. I don’t want to mess with it at all. I don’t even want to touch it. And I love that. Andrew: And you’re okay with him being the personality that’s behind it. Having people giving him recognition, even if he could walk out the door at any moment. Rand: I’m not just okay with it. I encourage it. Rand: I think it’s wonderful. And, in fact, because we encourage that, David’s more empowered than ever to stay and execute on this, and do wonderful things. Andrew: Let me close out with one more question here. This one comes from Kunal [SP] Campbell. And I should say guys, the way I got this question is I just went on Facebook and I said, guys, I’m having trouble working on the research here. And even internally we were struggling. And I asked people for questions. So here’s a question that came from Kunal who says, how does Rand keep abreast of industry news, blogging, tweeting, manage a company, oversee development in Moz, play shoot whiteboard-fridays, etc.? So in light of what we just said here, you do get to do a lot. What do you do that makes you so prolific? What’s the word I’m . . .
Rand: Yeah. So I have one deep, dark secret. It’s not all that surprising, but I don’t have any kids. Rand: Which is a total cheat and a hack that tons of other entrepreneurs that I meet who are my age, or in my relative age range, kind of go, how do you do it all? And I say, no kids, and they’re like, oh, you cheater. So that’s definitely one. And then another is that I also am very, what I’d say, very focused around maintaining blocks in my life. So there’s a lot of things that other CEOs do that I don’t do. And those include things like run and manage finances, spend a ton of time one on one with their executive team. I do one on ones with my ETeam an hour every two weeks and a weekly lunch meeting with all of them together, which I went to today. But other than that, I don’t do a ton else. Also, there’s a lot of other CEO type stuff that I don’t do. I will never play golf, we don’t have like a sales team or sales people or a sales pipeline so I’m never jumping on the phone to try and close a deal or get a client. In fact, I do almost no business development whatsoever. I even stopped taking all the calls that come in from investors. I forwarded those all on to our COO Sarah Byrd, who manages sort of financial side of the business and can speak to the folks better than I can anyway. And so I focus on the things that I love to do and my strengths and I’m trying to get those few things that are still on my plate, a lot of the organizational development stuff. But I think that hyperfocus helps and then I will say that I can skim easily. I’m good at skimming. So by virtue of osmosis I can do a lot of these, social sharing means that I’m also up to date on all the things that are going on on our industry. And being inside of our product means that I’m also up to date with how the product and development process and cost structure and engineering cycle, etc, etc are going. So there’s some of those synergistic benefits, too. Andrew: Skimming is a talent or a skill that you can’t underestimate. I work with a few people at Mixergy who research my guest and they’ll sit and they’ll feel obligated to reveal every single word of every single post. You never going to get anywhere that way. You have to know to skim so you can find the key ideas. All right. I’m going to let you go but before I do just a quick apology to Scott Edward Walker of Walker Corporate Law. I’ve been holding up his mug but I forgot to do the plug at the top of the interview. Actually, frankly, I was, you know, trying to get it in my head and figure out how to do this interview right and then I never wanted to interrupt it. So sorry, Scott, but Walker Corporate Law, startup lawyer if you need one. Go to his site. And of course, thank you so much, Rand, for doing this interview. It’s an honor to have you on here. Rand: My pleasure, Andrew, and thanks for putting up with my sore throat and voice. Andrew: Glad to have you here, sore throat, no throat, whatever you got bring it, baby. Rand: I think, yes, we’re going to be between $29-$30 million this year. Andrew: And last year where were you? Andrew: Unreal. The year before that $11 million, right? Rand: The year before that $11 million. So growing at a fairly similar pace revenue-wise. It’s funny. Seeing your reaction it’s completely at odds with how I feel about it, which is I feel very ashamed and frustrated that we had 6 months this year where our funnel was closed and we weren’t really accepting new customer because we were doing this transition stuff. Andrew: [??] say this you’re thinking about that and I get it. And really frankly as an entrepreneur, as a business man, you have. I’ll tell you what I think about all the time. In our very first interview, what I said earlier in the interview today is, the first interview you talked to me about how you didn’t have money, how you couldn’t pay your bills. That’s the kind of stuff that I think a lot of people are afraid to talk about openly and when you said that, first of all the image of that stuck in my mind and I have rooted for you and I’ve been so proud to just know you because I don’t care about superheroes. Whenever the super hero movies I don’t watch them but when I see a guy like you, who started out, who had so much struggle make it so big and help so many people along the way, that’s who I root for and that’s where I draw inspiration and I keep flashing to that and I flash all the emails that I got afterwards from people who said that touched me, including a past girlfriend of mine who reached out to me out of the blue and I follow Rand and I watched your interview, it was so touching and she reconnected over that. It was that kind of a touching interview and it’s that kind of a touching story and that’s why when you tell me every time we talk how much you’ve grown, I just feel just so proud to be in an industry with you and so proud to have watched you over the years. Rand: Well, that’s really very touching, very flattering. Thank you, Andrew. Andrew: All right. Thank you. Thank you all for being a part of it. Bye, Rand.